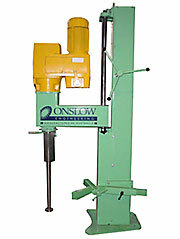 These units are used for the manufacture of paint millbase on a large scale. 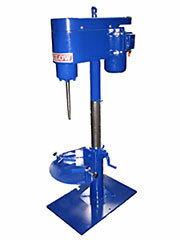 Sizes range from 2,500 litre - 12,000 litre working capacity. 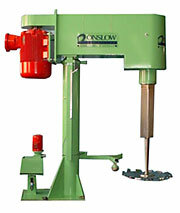 They are extremely efficient because of the configuration of slow speed sweep anchor agitator and twin elevating head dispersers. 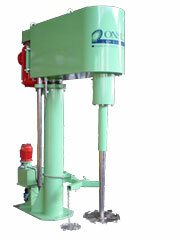 Compared with single shaft disperser, these units are able to handle higher viscosity or thixotropic millbase formulations. When fitted with cooling water jacket, accurate control of product temperature is achieved because of the close fitting sweep anchor agitator design. "In place" cleaning, loading hopper with bag splitter and load cell mounting are a few of the many facilities available to enable efficient and, if required, automatic operation.